Feetology Podiatry Centre can help you with your foot problems. Our Feetologists (Podiatrists) are all degree trained practitioners that are experienced in dealing with foot and leg problems. We can study your walking pattern in great detail using a computer gait analysis system. This helps to work out what is going wrong with your feet and assists us in advising an appropriate treatment. 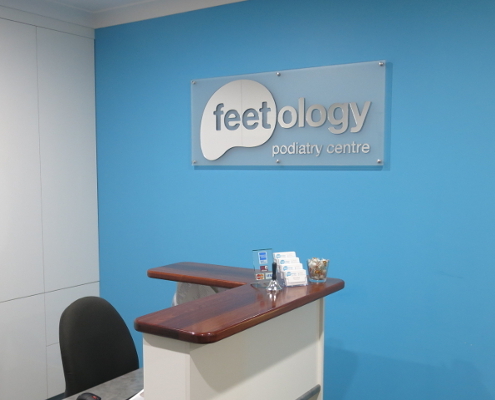 Feetology Podiatry Centre at Victoria Point is all about your feet. Your feet play a very important role in helping you to move around, to walk, run, play and work. That is why Feetology Podiatry Centre exists, to keep your feet functioning at their very best. Our qualified and accredited podiatrists will guide you through your concern with your feet, be it an ingrown nail, sports injury or diabetic related foot problem. These are just some of the conditions that we treat. Our clinic utilises the latest in technologies to help assess and treat your feet. We have a fully computerised gait analysis system, allowing us to capture and assess your walking patterns. We also offer the latest in orthotics with computer generated Cad Cam orthoses. Offering professional, preventative, proactive foot care solutions; partnering with our clients to achieve long term quality results.